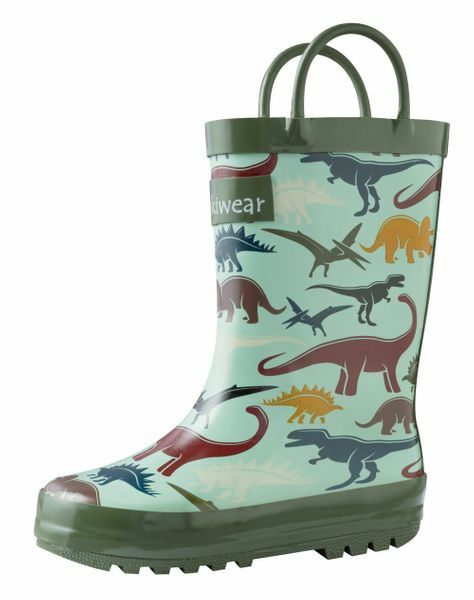 These fun rain boots are made of 100% rubber and feature handles making it easy for little ones to pull them on. Keep little feet warm and dry during the rainy months. These fit true to size. 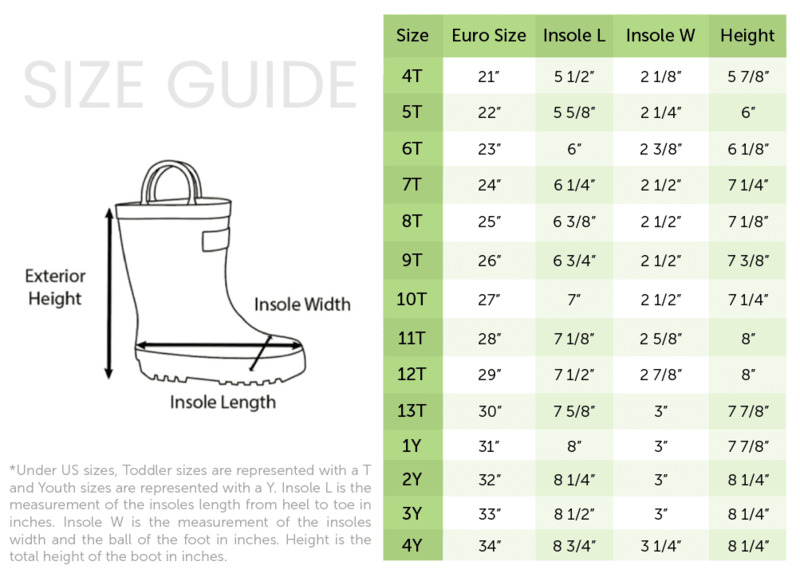 Refer to size chart on the left for measurements. By Oaki.